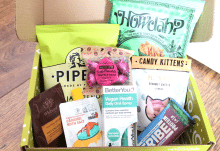 Look Incredible are an online beauty retailer who also offer two types of monthly beauty subscription boxes; a Standard box priced at £25 and a Deluxe box which is £35. 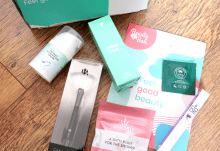 Not only do they work with a wide range of luxury and high-end brands, but all of the products in both the Standard and Deluxe boxes are full-size! 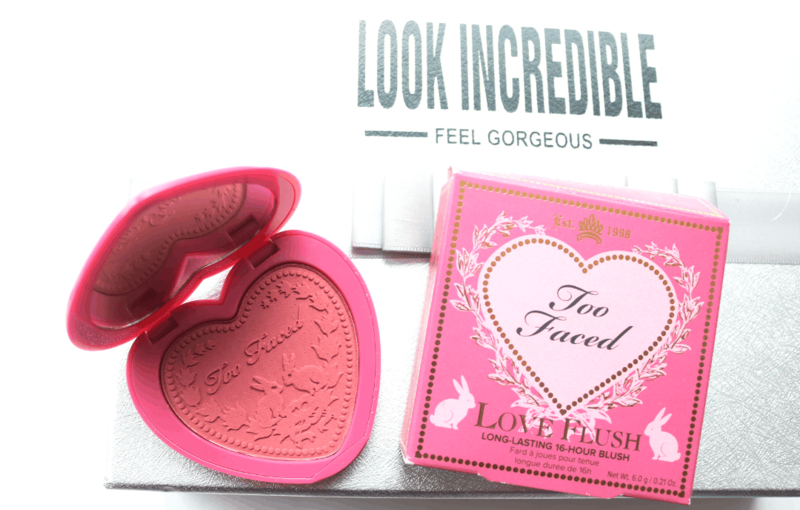 The first product that I pulled out is my favourite of the box – a heart-shaped blusher from Too Faced! I’m a huge fan of Too Faced and use a lot of their makeup as it’s all cruelty-free, and the quality is just fantastic too. This blush is long-wearing, fade-proof, and smudge-proof for up to 16 hours, and it has a really great colour payoff. 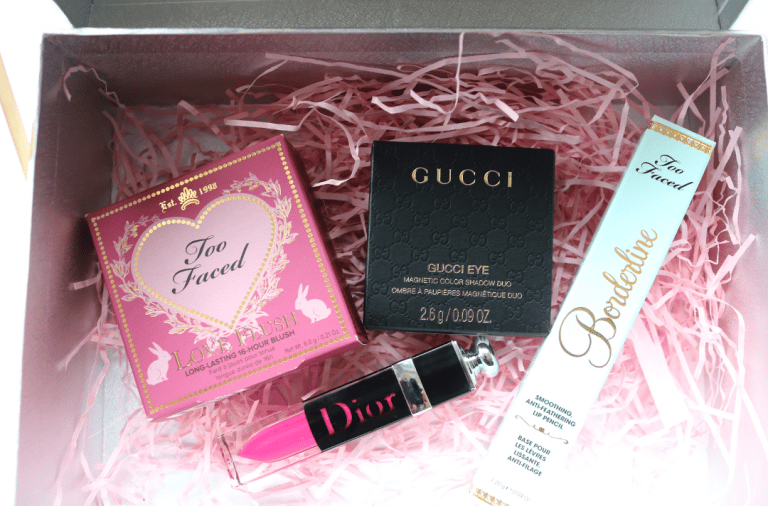 I love the cute bunny print on the blush itself too – how adorable! Next up, there’s a Dior Addict Lacquer Lip Plump which is described as a high-shine lacquer lipstick. It offers full-colour coverage and has all the comfort of a lip balm, but with the longevity and pigmentation of a lipstick which is really interesting. It feels weightless on the lips and very nourishing thanks to a blend of oils and beeswax. This shade is a bright fuschia pink which I think would look great for Spring or Summer. 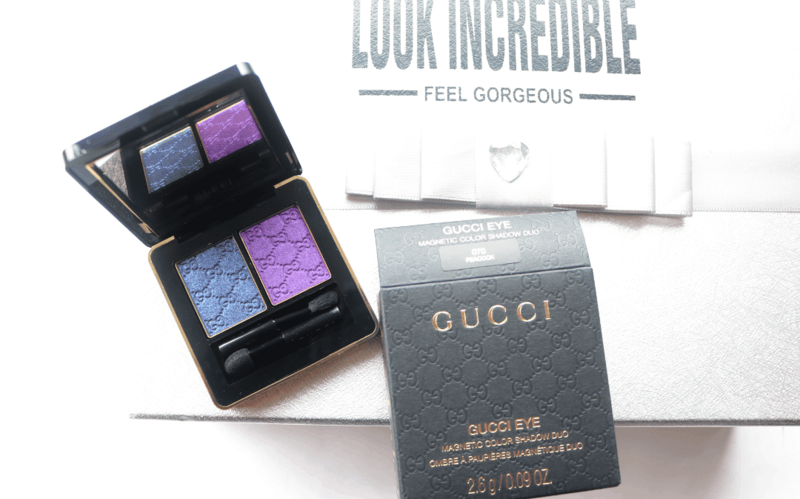 It’s always exciting to get something from Gucci and this Magnetic Colour Shadow Duo features two bold and colourful shades to take you out of your comfort zone and inspires you to try something different! Richly pigmented, this particular duo features a deep navy blue on one side and a brighter, vivid purple on the other for a retro/80s look. Don’t you just hate it when your lipstick smudges and feathers during a night out? 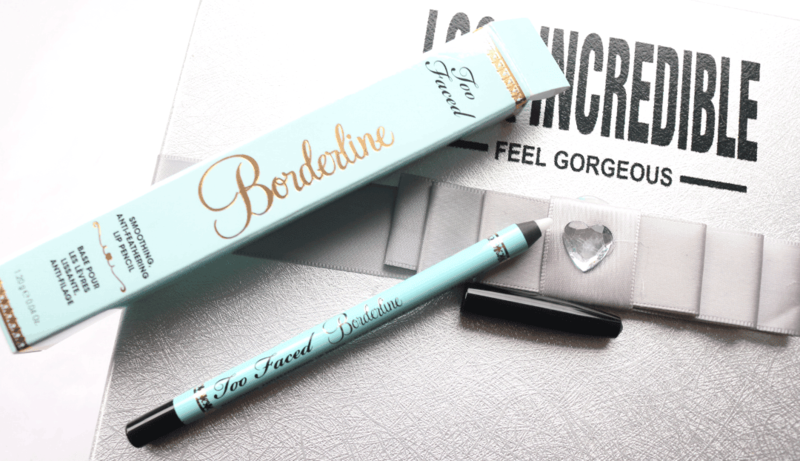 Too Faced is here to help with their Borderline Smoothing Anti-Feathering Lip Pencil! It’s been designed to be colourless so that it will effortlessly match every single lip product in your makeup collection, so you’ll never need to root around trying to find that perfect lip pencil ever again. Genius! 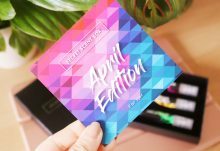 Worth £108 in total, this month's Look Incredible Deluxe box is a must-have for anyone who loves luxury and high-end makeup! How would you rate LookIncredible ?